The cargo ship Su Jia Hang 1 was blown ashore by the Typhoon Haima near Shantou City, China. The vessel was anchored in Guangao Bay in South China Sea, but the strong winds and heavy seas caused dragging of the anchor. 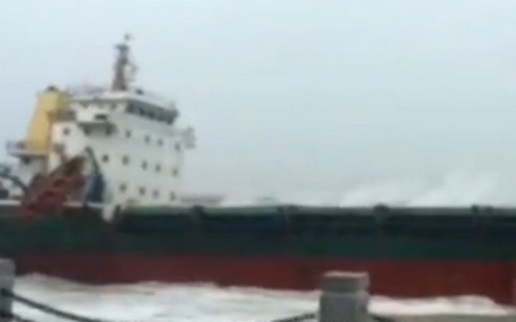 The cargo ship Su Jia Hang 1 was blown ashore by the storm and hardly stuck at the rocky shallows. There were no injured people during the accident, as the crew requested evacuation before the grounding of the vessel and were transferred to another freighter. The ship suffered damages of the hull during grounding and salvage is quite complicated, but there are not breached oil tanks and water pollution. The local authorities started investigation for the circumstances surrounding the accident. 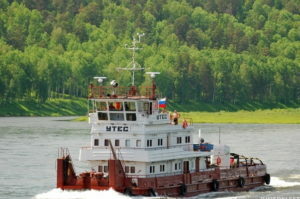 The salvage will be coordinate with shipowner and operator. The situation is complicated, as the vessel grounded hardly but portboard and refloating might cause serious problems for the seaworthiness of the ship. The cargo ship Su Jia Hang 1 has overall length of 98.00 m, moulded beam of 16.00 m and maximum draft of 7.50 m.